In many parts of the world, once the sun begins to set, bats emerge from their resting places and zoom around outdoors, hunting for sustenance. During the Samhain season, in particular, we tend to see an abundance of decorative bats, ranging from cute to scary. Let's look at how bats became associated with Samhain and Halloween, and at some of the legends and myths surrounding these nocturnal flyers. In ancient Rome, there was a collection of fables, much like those of Aesop, collected by a writer named Phaedrus. One of these stories, “The Birds and the Bat,” tells of the bat trying to avoid getting involved in the battle between land animals and birds. The bat, savvy thing that he is, sits on the sidelines, neutrally observing, until he knows which side is the winning one. The god Mars declares that birds are in fact the victor, so that is where the bat chooses to cast his allegiance, rejecting the animals of the land. Of note, the bat is in fact a mammal, as far as scientists are concerned, and not a bird at all. During the Middle Ages, residents of western Europe and England believed that bats spread disease. This is most likely because of the bat’s similarity to the rat… which was usually blamed for the spread of plague. Because many people believed in witchcraft during this time, the bat was associated with witches, dark magic, sorcery, and even talking to the dead. People in rural Scotland and northern England suspected bats of being messengers between witches and the devil. Centuries later, during the Victorian era, Bram Stoker wrote Dracula, which combined mysterious bats with a shape-shifting vampire. As much a morality tale as it is a horror story, Dracula features a title character who turns himself into a bat after sucking the blood of his helpless victims - often virginal young women on the cusp of sexual awakening. 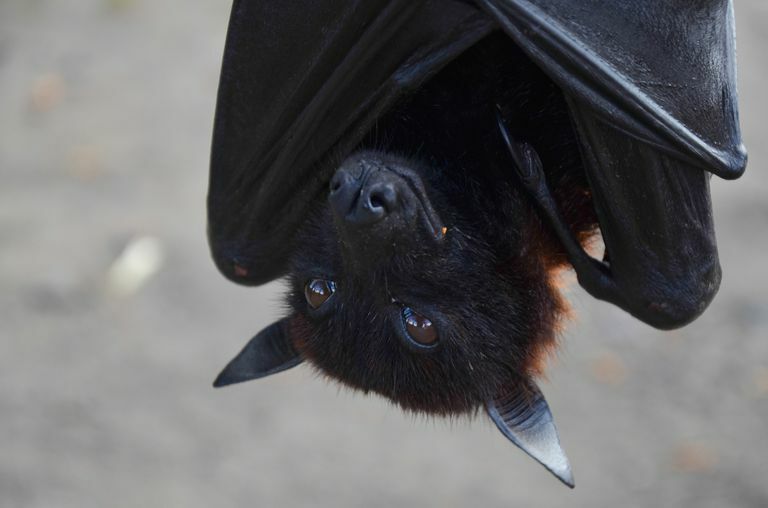 Dr. Elizabeth Miller of the Florida Bat Conservation Center writes that Stoker was inspired, while writing his classic, by a newspaper article, in which a victim was allegedly drained of blood by a vampire bat. As Dr. Miller points out, however, vampire bats are pretty small, a fact which Stoker conveniently ignored. While Europeans were busy associating bats with witches and dark magic, the Mayans celebrated a god named Camazotz. He was a monstrous creature with the head and wings of a bat, and the body of a man… and was associated with human sacrifice. For explorers like Cortez and his Conquistadores, with their European heritage and background, a bat god like Camazotz would have been terrifying. The bat is also seen as a trickster in some societies, particularly in North American tribal cultures. Like Coyote, the bat often appears in cautionary tales. Of note, Bat is also associated with clarity of vision and intuition, perhaps due the creature’s ability to fly about at night when other animals are sleeping. In Eastern cultures, there tends to be a very different view of bats. Rather than seeing them as harbingers of death or symbols of black sorcery as Western societies do, people in China honor the bat as a symbol of happiness and long life. Five bats in a group together is a five-fold blessing: financial security, longevity, good health, a virtuous life, and a natural death. Bats are gifted with the ability to use echolocation - it’s radar for bats, sort of a built in GPS system. Bats bounce sounds off their surroundings, and this allows them to fly in completely dark conditions. It also allows them to hunt at night, because echolocation comes in very handy in locating and identifying prey in the dark. Regina Bailey says that by using active listening and adjusting their vocal cries, bats can determine details about environment from the returning sounds. An echo with a sliding pitch indicates an object in motion, while time delays between cry and echo are used to calculate distance. In addition to their nifty navigational system, bats come in pretty handy for the rest of us. They eat mosquitoes - a LOT of mosquitoes - and help pollinate hundreds of species of flowering plants and fruit. Their droppings - which is known as guano - is an excellent organic fertilizer. So, how did these night time flyers come to be associated with the Samhain season? No one knows for sure, but it may well be that because to some people, bats just look scary. They fly in silence on paper thin wings, only appearing after dark. They’re associated, in many cultures, with death and dying, which makes them a perfect representative of Samhain, the time when the veil is thin. It’s also possible that by late October, the evening air is nice and cool, so we tend to light a lot of outdoor fires… which lures in insects, which in turn draw in hungry bats looking for a late night snack. We generally see more bat activity in North America in the late fall, because bats become migratory and travel south at this time of year. Are you having trouble seeing a problem - or a reasonable solution - clearly? Call upon bat energy to help gain intuitive strength and clarity. Bats are messengers - if you see one flying around in the night ask it to carry a message for you. Particularly if you’ve lost someone you love, bats can carry messages across the veil. If you happen to find a dead bat on the ground - and this does happen more often than you’d think - allow the wings to dry out completely, and then powder them. Sprinkle the powder around your home to keep malevolent spirits out, as the ancient Egyptians did. Try building a bat house on your property to attract bats, and then call upon them if you need help in improving your communication skills. Bats can always find their way home because of their echolocation skills. Make a bat amulet to wear, so you’ll never get lost or disoriented when you’re in an unfamiliar place. You can also make a bat talisman or charm that will open yourself up to communications from the spirit world. So, the next time you’re sitting outside at dusk, or out for an evening walk, be sure to keep your eyes peeled. Watch need the trees, and eventually you’re likely to see bats flitting around, looking for a snack. They’ll be gliding silently by, on the hunt, and probably ignore you completely - but that doesn’t mean you can’t take advantage of their mysterious magic!